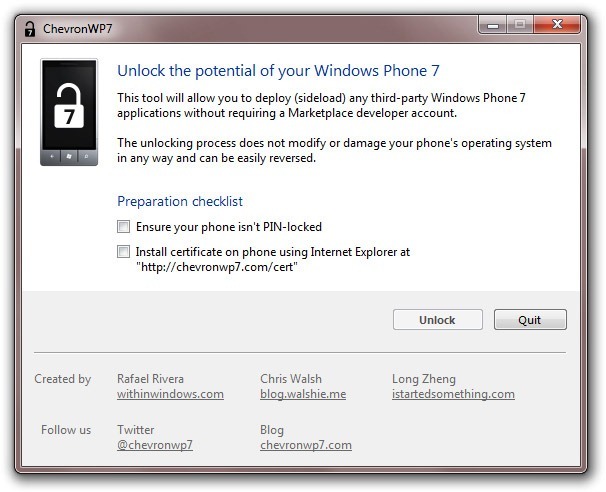 Although this has been subtly communicated before, we’d like to reiterate Microsoft has informed us the “coding error” used in the ChevronWP7 unlocker will no longer work after the next Windows Phone 7 update (officially announced at CES 2011). I’m sure that once WP7.1 is unleashed someone will find a new workaround. That’s how these things work, after all.